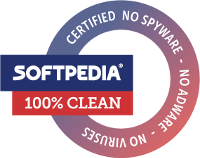 This program shows all sensor and location data on Windows 10, Windows 8 & Windows 7. Its event driven. The data will be automatically updated if something changes. 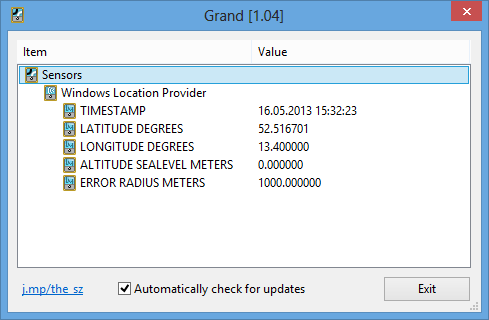 The Windows Location Provider reports your location based on GPS or IP address. Start the Weather Windows Store App to enable the provider. Geosense for Windows provides positioning information without GPS hardware. 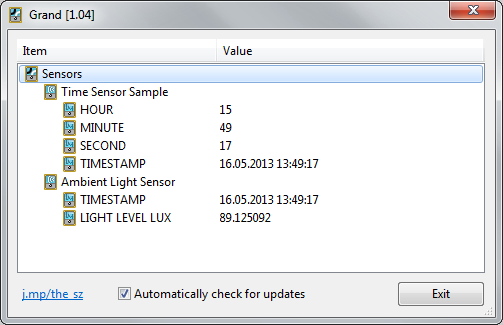 The Windows 7 SDK contains the VirtualLightSensorDriver and the Windows 7 DDK contains the TimeSensor for testing.